My Installing Sendy and Virtualmin on Amazon Web Services (AWS) guide involves issuing instructions through what is called the command line. 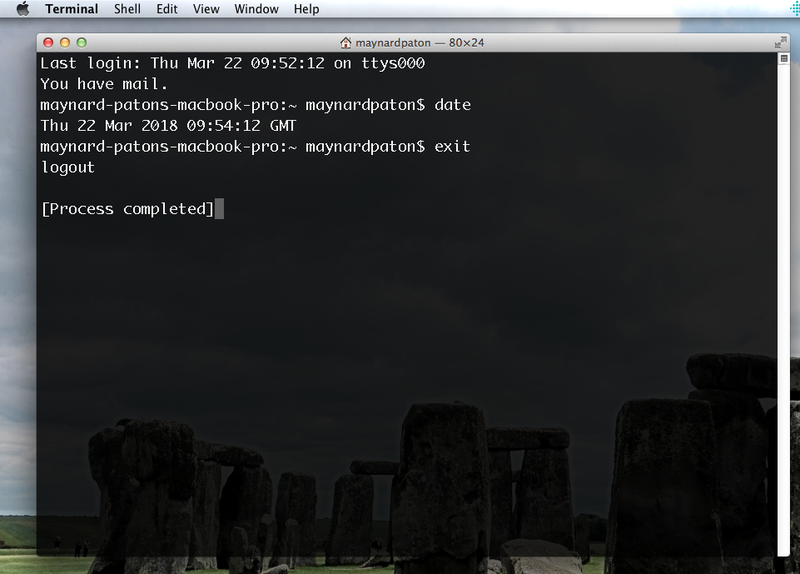 You connect your computer to your AWS server via an SSH (Secure Shell) client, so you can use the command line to amend various files and install the Virtualmin software. 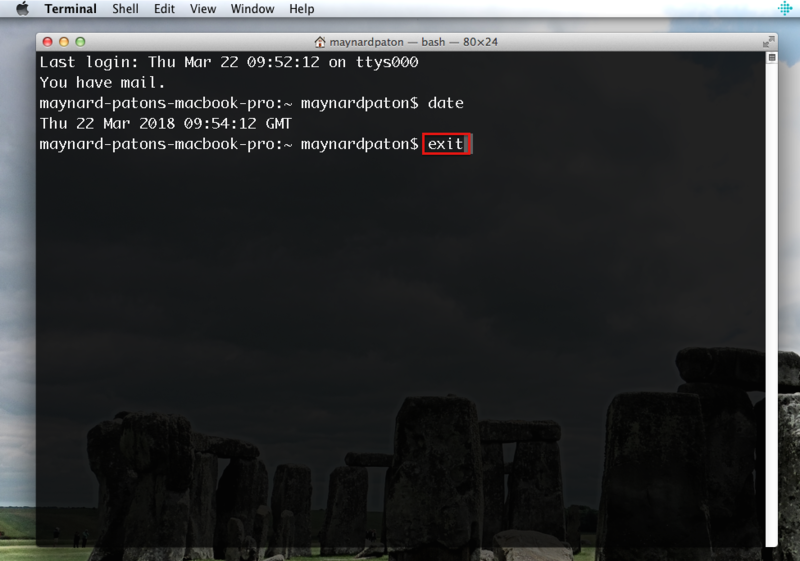 My guide uses the Terminal application within Mac OS X 10.9.4 as an SSH client. Windows users may wish to search for articles such as this for a suitable SSH client alternative. PuTTY is a popular option. Becoming familiar with Terminal (or the Windows equivalent) — and the commands used within the guide — will be extremely helpful when it comes to maintaining your Sendy/Virtualmin/AWS set-up. 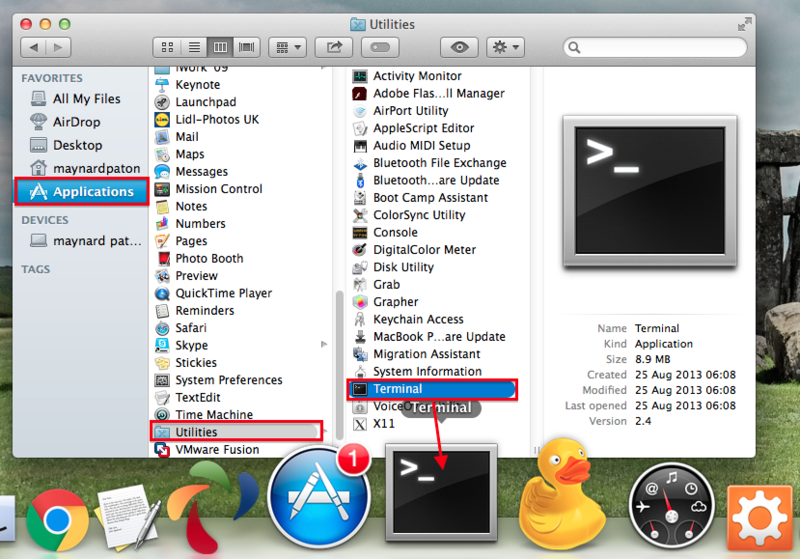 1) You can find Terminal within Finder. You can then drag Terminal onto your Dock for convenience. I have set my default to the Pro setting. 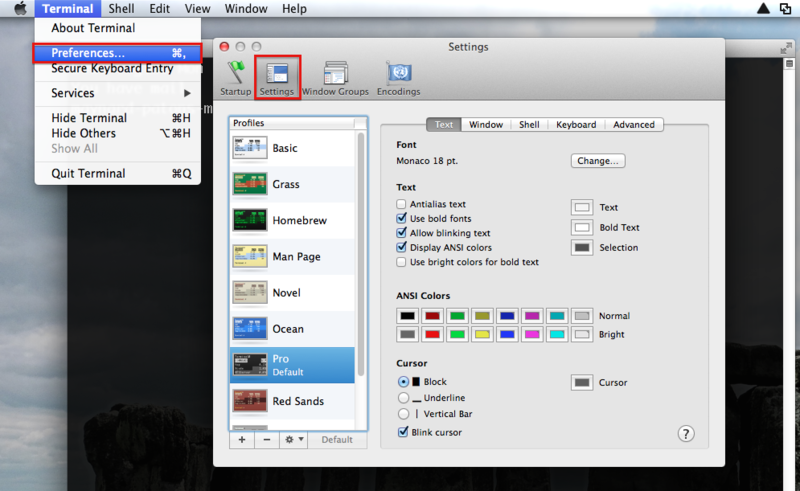 Colours, fonts and other features can also be changed. Close the Settings window once completed. ...then press Enter. 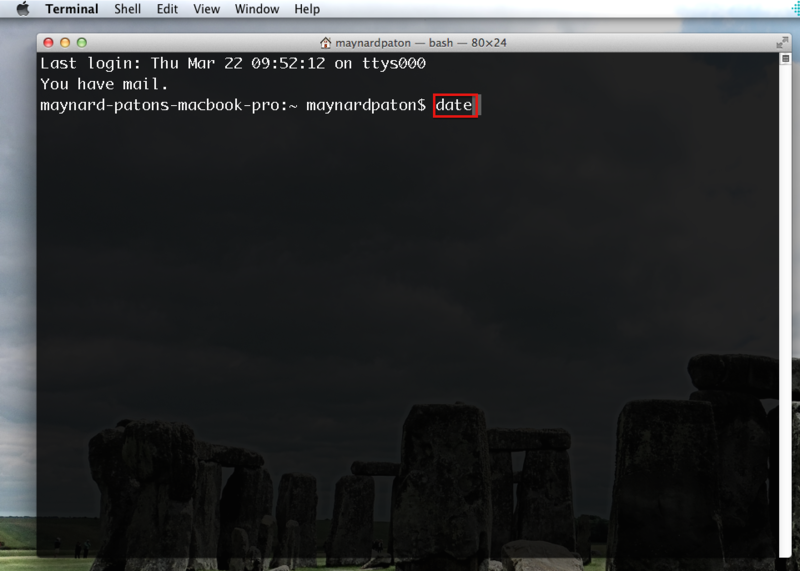 The date should now appear. Click here to return to the Introduction to Installing Sendy and Virtualmin on AWS.